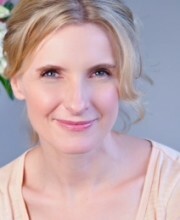 Elizabeth Gilbert is the #1 New York Times bestselling author of Eat, Pray, Love, as well as the short story collection, Pilgrims–a finalist for the PEN/Hemingway Award, and winner of the 1999 John C. Zacharis First Book Award from Ploughshares. A Pushcart Prize winner and National Magazine Award-nominated journalist, she works as writer-at-large for GQ. Her journalism has been published in Harper’s Bazaar, Spin, and The New York Times Magazine, and her stories have appeared in Esquire, Story, and the Paris Review.